Apple Watch is a smartwatch which is developed by Apple. It has many different features that make Apple Watch the coolest watch ever. 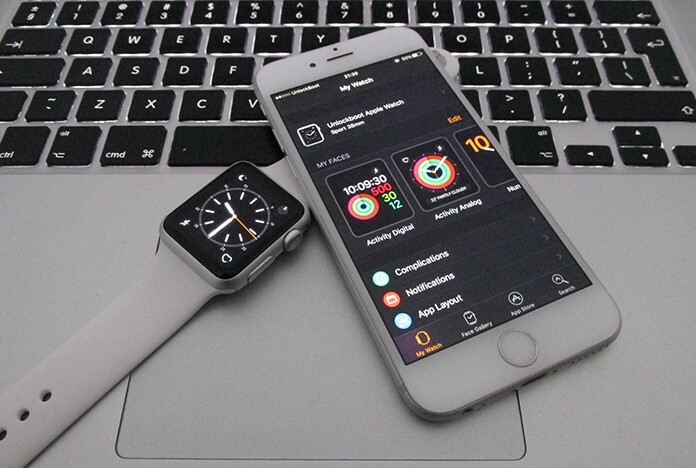 You can track your fitness and health using Apple Watch. Moreover, you can control your iPhone through this watch. You can use Apple Watch with your iPhone or any other Apple device. Apple Watch has some amazing features like its activation lock. We all know about Find My iPhone services on iPhones. This service can be used to find the lost or stolen iPhone. But sometimes you may want to unlink Apple Watch from Apple ID, and this post is going to teach you how to do it. When it comes to Apple Watch, Find My Apple Watch service makes it safer and secure. You can turn on Find My Apple Watch service on your Apple Watch to find it if it is lost. 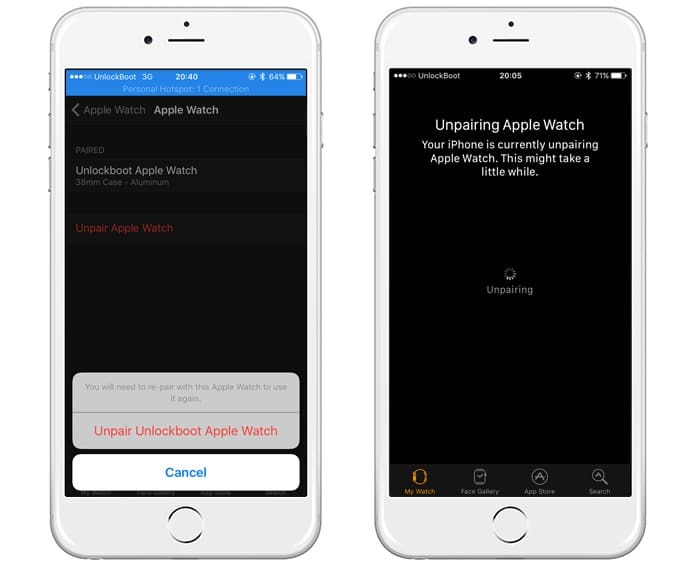 If you are using an Apple Watch and you are going to sell it, you will need to unpair it. Always before selling or changing your Apple Watch, unlink it from your Apple device. As you are not going to use your watch anymore, you will have to unlink Apple Watch from Apple ID. 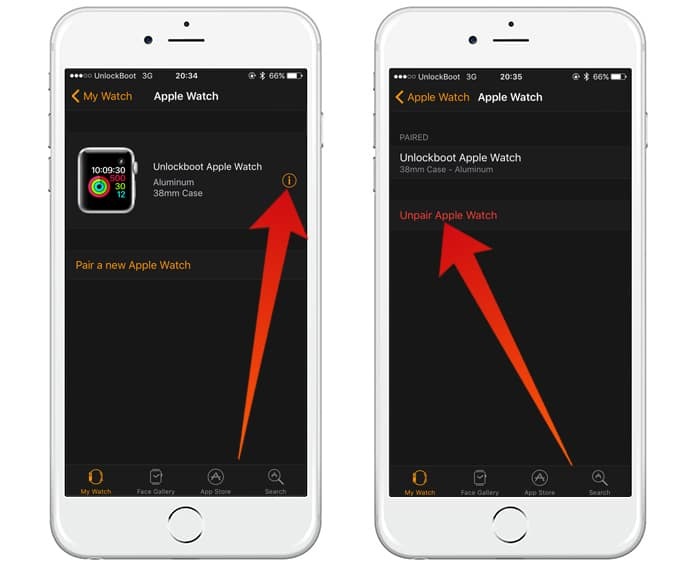 You can easily unlink your Apple Watch from your iPhone by following the process mentioned below. Step 1: First of all, make sure Find My Apple Watch service is active on your iPhone. Step 2: Before doing anything, make sure your Apple Watch and iPhone are put closer to each other. Step 3: Click on the Apple Watch app on your iPhone and click on My Watch tab. Step 4: Now tap your watch name and click on info icon (i). Step 5: Here you will see an option named Unpair Apple Watch. Click on it. Step 6: You will be required to present your Apple ID and password. Step 7: Provide your Apple ID and password and click on confirm to finish the process. Step 8: Now your Apple Watch is unlinked from your iPhone. After unlinking, you can easily sell or change your Apple Watch without any problems. Moreover, if you don’t know whether your watch is linked with your iPhone or not, you can easily check it. You will only have to open Apple Watch app on your iPhone and click on My Watch option. Now tap on your watch name. 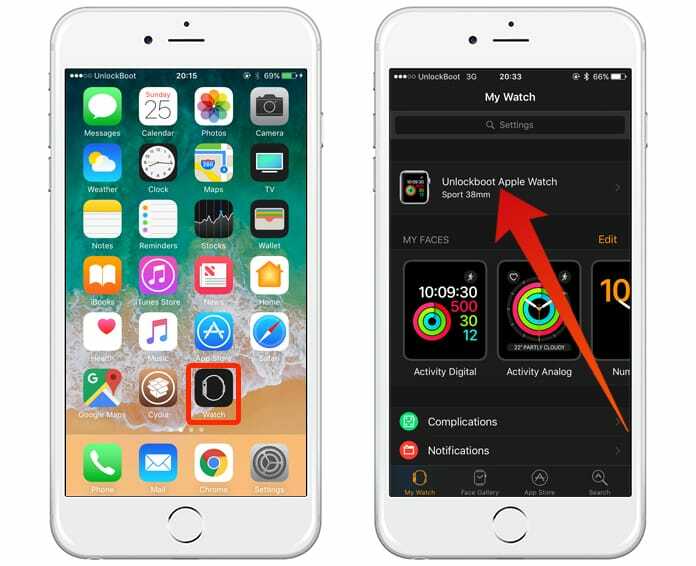 Tap info icon (i) and if you see Find My Apple Watch, service is activated on your iPhone. After that, you can perform the above method to unlink the watch from your iPhone. Later, if you have purchased a new watch and want to link it with your iPhone you can easily do it too. To pair your new watch, open Settings on your Apple Watch and reset it. Now click on the Apple Watch app on your iPhone and tap the My Watch option. Now you can pair your Apple Watch with your iPhone by clicking on the name.